CEWB Movie Club - Who wants in? Re: CEWB Movie Club - Who wants in? I did finish The Magnificent Seven ... then I hung on to it hoping to get through the commentary track. Finally I gave up and took it back to the library. I caught the original Manchurian Candidate on TV shortly after the discussion here. What an unbelievable plotline ... People were supposed to imagine that the Russians would secretly attempt to influence a U.S. presidential election in favor of a vainglorious megalomaniac, in the expectation they would be able to manipulate him afterwards? Never happen. Had to post and say that I watched The Manchurian Candidate on blu-ray with my husband the other day (by coincidence) and it just blew me away ... it felt so topical with Trump and everything that's going on right now (as you say KC!) ... what incredible performances too. Have to say (apart from early Sinatra) I am a bigger fan of Sinatra's acting than his singing. 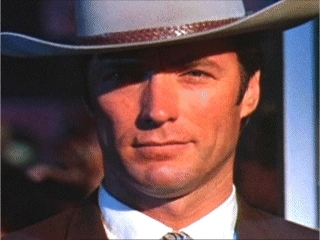 Also fascinating to discover that Laurence Harvey (who also turned in a great performance) was the father of Domino Harvey, the bounty hunter (sadly also deceased) – I love following through degrees of separation like that (I could probably get to Kevin Bacon if I tried ). I've seen things you people wouldn't believe. Attack ships on fire off the shoulder of Orion. I watched C-beams glitter in the dark near Tannhäuser Gate. All those moments will be lost in time, like tears in rain. Time to die. And that's why I wanted to do it. It wasn't just Trump though -- candidate Clinton was every bit as much of a "Manchuarian Candidate", if not more so. One thing for sure, our political system is a wreck with way too much corporate influence, as can be seen in the 2004 Manchuarian Candidate remake. I loved Harvey's performance, too. I haven't seen the remake. It'll be hard to try and watch it now I know the original is so good! The name rang a bell when I remembered there was a film that came out soon after her death starring Keira Knightley as Domino. The wrong choice for actress I think but might be interesting to watch, or a documentary on her life if there is one. Howdy. Is this still going? I’ve had quite a busy year, going back to November, 2016. So much has happened that I just didn’t have time, even with two months short-term disability recently. I always thought this was a good idea and even with my being in the beginning stages of sharing thoughts on a series of films and tv show on Facebook (of which I’m sharing the latter of the two here on the CE Forum), I think I can manage time to participate in this CEWB Movie Club. I was thinking of this too - maybe after we get past all the holidays, we'll come back and put together a schedule again. Okay, we'll be getting a schedule together and getting this started again soon. Should we do a Hitchcock theme, and everyone who is interested can nominate a Hitchcock film for the schedule? Or, should we just do classic films (pre-1950). All classic films I reckon. I think a Hitchcock theme would be awesome. Reading through the Hitchcock thread, I see that Shadow of a Doubt was recommended to me, and KC said was perhaps Hitch's favorite of his films, and I still haven't watched it. So, let's get together a list of everyone who's interested in participating, and if you "chime in", list one or two Hitch films you'd like to recommend for the schedule. The 50's feel so much more modern than films from the 30's and 40's. And then there's another big jump from the 50's to the 60's. So, okay, when we do classics, we will go up to 1959. I'd be interested in participating in this. When would we be starting this? I'm not really familiar with the baseball season calendar. Everything I know about baseball I learned from "Trouble with the Curve." I'm not really familiar with the baseball season calendar. Everything I know about baseball I learned from "Trouble with the Curve." The regular season runs through the end of September, then the playoffs continue through October. But the Yankees probably won't get too far this year. But don't mind that, I could make time for a classic movie or two. Okay, if KC is joining us before the end of baseball season, then we can get started earlier! Let's see who else is in and the films they recommend, and I'll get a schedule up. I'll recommend Rebecca and Spellbound, but want to make sure someone recommends Shadow of a Doubt because I want to see that one. And Notorious is another favorite. I'd be interested in chiming in about some of these movies. But we're not going to do Hitchcock movies from the 1960s or 1970s? (And I realize there's only two movies he did in the '70s) Or do you mean when you switch to just classic movies? Any Hitchcock films are good -- the 60's and later aren't eligible for when we do classic films after Hitch.